Fry’s Electronics had constructed a full scale house inside the Cupertino store to demonstrate features of a whole house sound system. They hired me to transform one of the rooms into an outdoor patio. 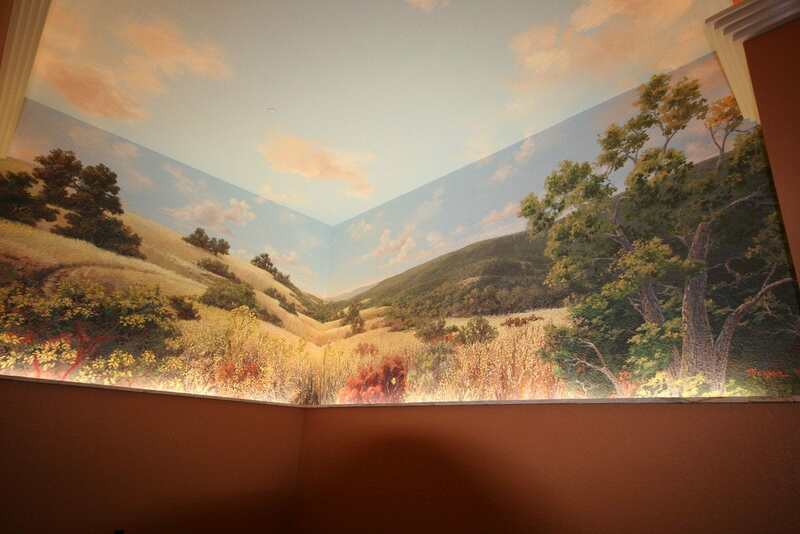 I painted a local landscape and clouds on the ceiling.